The tools of surgery did not undergo significant modifications until this century. As the scalpel, scissors, and saw belong to the earliest period of medicine, high-frequency bipolar cautery and cryosurgery are tools of modern medicine, but generally all lack precision of application. The impetus of precise tissue removal and the tendency toward conservative treatments have stimulated innovative surgeons to investigate new surgical modalities— hence, a rapid proliferation of new surgical instruments described as LASERS. What is a laser? What role does the laser play in modern medicine? 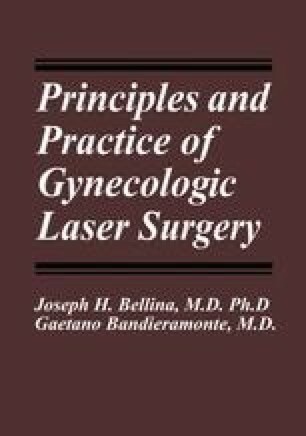 Will the laser be of benefit to my patient? These questions are being asked each day in medicine in advertisements and courses, and, the public media cry out: Why not use the laser?